Is there a better alternative to Grades Manager? Is Grades Manager really the best app in Miscellaneous category? Will Grades Manager work good on macOS 10.13.4? 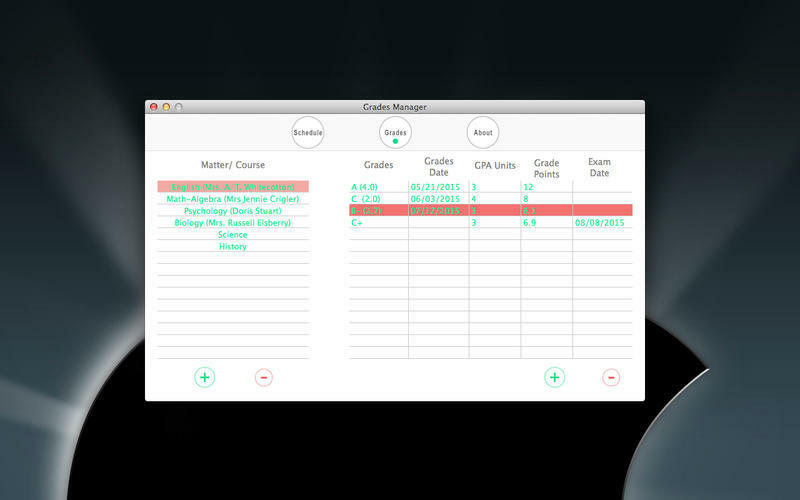 Grades Manager is a comprehensive grades tracker/manager which allows you to always know your current grades. Grades Manager helps you create and manage your own database that records grades, grade date, GPA units, grade points, and exam date according to your matter/course. 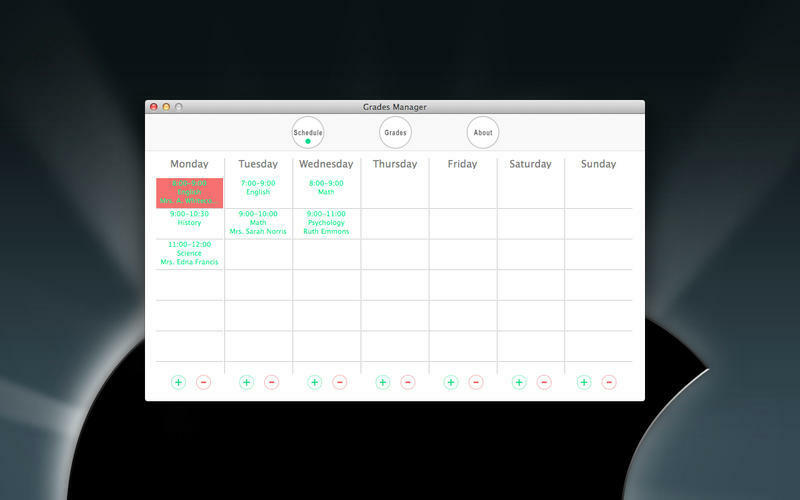 It's a great app because it also helps you store and manage your school/college schedule. Record and track all the grades according to your matter/course! Easy to use and very useful! Grades Manager needs a review. Be the first to review this app and get the discussion started! Grades Manager needs a rating. Be the first to rate this app and get the discussion started!